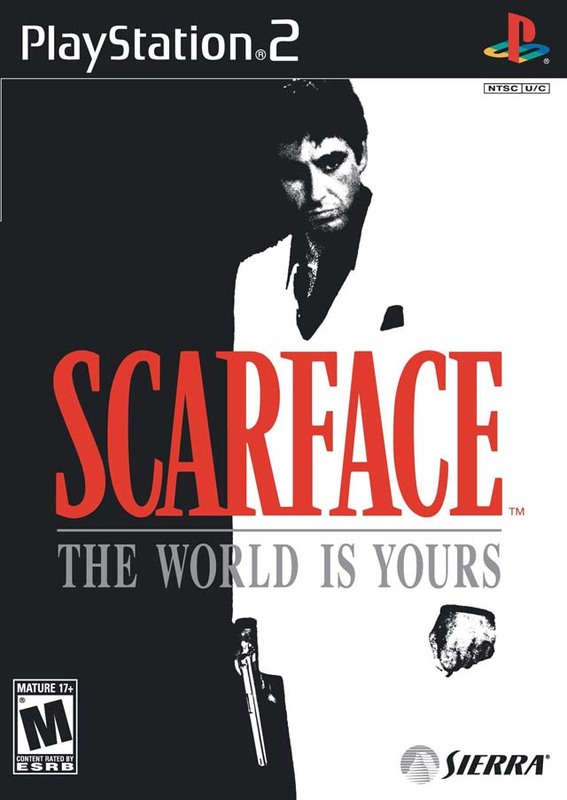 In a complex world filled with excess and greed, players can take the role of Tony Montana, one of the most ruthless gangsters ever depicted on film. Highly acclaimed screenwriter, David McKenna, has written an original event-driven storyline for the interactive game that leads the player through a sordid underworld. 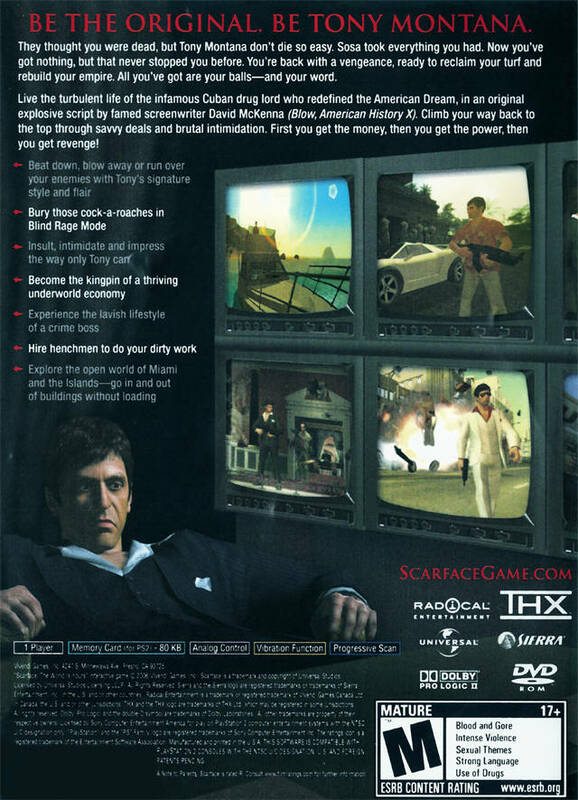 Players travel through the steamy, often violent streets of Miami, the islands of the Florida Keys, the Bahamas and various other locales and interact with a world full of seedy and dangerous characters to procure information, negotiate business deals, smuggle contraband and avoid rivals and DEA on a mission to rebuild their fallen empire. 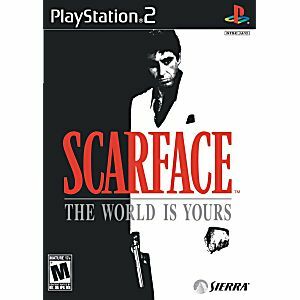 The best game i played ever for PS2. They really need to remake this game for PS4. It'll be sold out before the weekends out. Can not put it down! Game works great. Lukie Games is the best for throwback gaming. All the products are in very good condition, they stand by their stuff. The exchange and return policy is the best out there! I Love Lukie Games!! Super fast shipping, item arrived as advertised.plays great and came with instruction booklet which are hard to get with ps2 games. Highly recommend buying from lukie site. Customer service is outstanding as well. Thanks lukie games. Lukies did a great job the game worked fine and shipping was fast however after a couple of hours the game froze :( so i cleaned the disk with rubbing alcahol been doing it for years with my games and it worked fine. The complet includes original case and manual and was like new! Great Buy! THE WORLD IS YOUR CHICO !! No problems. Great prices for quality games/accessories. Tried this game used from other places and they did not work. Received game and cannot put it down. Works like new. Love this site.